After being rumoured for years, Amazon today finally announced their entry into the smartphone market. The new handheld was teased before launch with Amazon CEO Jeff Bezos sending out copies of his favourite children’s book “ Mr. Pine’s Purple House” which is about a man living in a row of identical white houses who decides to paint his own home purple and thus influence his neighbours to be unique too. That basically hinted towards a unique device that stood out among the sea of of smartphones. Rightly so, Amazon’s foray into the smartphone market certainly is unique and it DOES stand out, but is that really a trump card for the company? 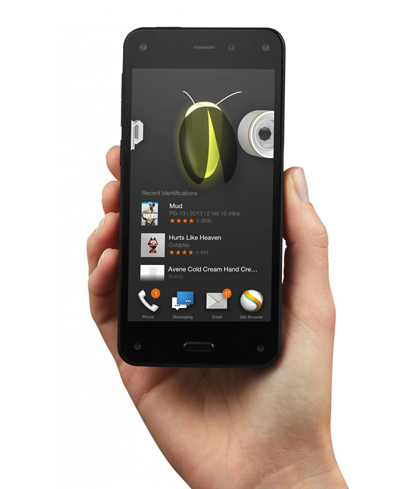 The Amazon fire Phone comes with an HD 4.7 inch IPS LCD panel (720p) armoured with Corning’s Gorilla Glass 3 on both the front and back, a frame built out of rubber, aluminium buttons and injection molded steel connectors that Amazon states “ensures a tight and precise fit” while charging the device. Inside, the device is powered by a quad-core Snapdragon 800 processor clocked at 2.2GHz with 2GB RAM and Adreno 330 graphics. It is loaded with a heavily modified forked version of Android and hence does not come with the Google Play Store or any of Google’s apps. Around back there is a 13-megapixel camera with optical image stabilization and f/2.0 aperture which should help capture great quality images and video. The smartphone packs a 2400mAH battery that Amazon claims should offer 22 hours talktime, 285 hours standby, up to 65 hours of audio playback and 11 hours of video playback. In their presentation, Amazon showed off its camera quality next to the iPhone 5s and Galaxy S5 and the results looked promising. The device also packs a dedicated camera button as well as unlimited photo storage via Amazon Cloud Drive! A nice touch comes in the form of dual stereo speakers in landscape mode and virtual surround sound courtesy of Dolby. Included in the box is Amazon’s new tangle-free earphones that feature a magnetic link between the individual earphones and will also be available on Amazon for $25. All these however are NOT what set Amazon apart from the pack of today’s smartphones. 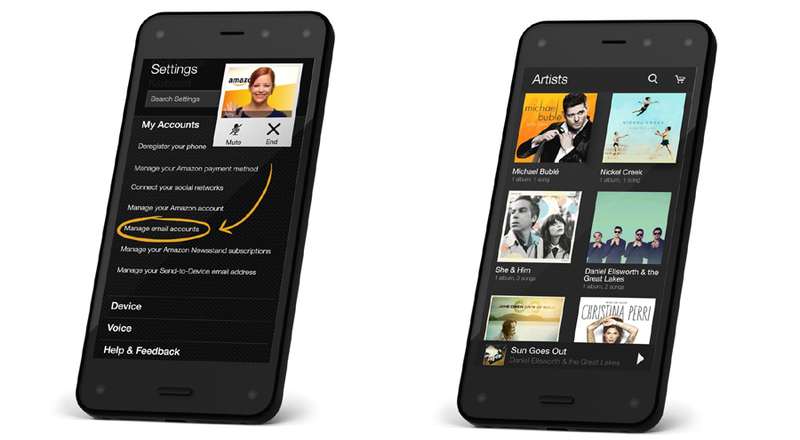 The fire Phone’s real gems come in the form of Amazon’s own unique additions. The fire Phone’s highlight feature is what Amazon calls “Dynamic Perspective”.The device features four front facing cameras, each with 120 degrees field of view that tracks the user’s head and face to measure depth and alter the contents of the display so as to give it a 3D effect instead of the plain view we normally get. The system works with just two cameras but two more were added incase any camera got covered. The cameras also have infrared capabilities so it also works in complete darkness. This however should not be confused with parallax or other forms of 3D previously seen on devices.This feature is rather interactive and changes based on how the user moves his head or tilts the smartphone. Tilting the smartphone can also reveal additional details or content as well as allow the user to navigate through the phone in a unique way. Amazon has released the SDK for Dynamic Perspective so that other developers can take advantage of this feature. The experience is one that can not be properly described with words so you will need to see it in action to truly understand it. The second highlight of the smartphone has to be firefly. firefly basically is a resource that can identify content using just the device’s camera and mic. It activates upon hitting the dedicated firefly button and can recognise more than 100 million items. Amazon uses this feature in order to provide users with a one tap method to purchase items from its store. What is really cool is that firefly recognizes not only objects but also barcodes, audio and video such that it may provide suggestions to purchase media online as well. One feature prominently shown off on Amazon’s tablet range is Mayday, the company’s built in 24/7 video support system that connects the user to a real human being via the internet in order to provide tech support in 15 seconds or less. This is one amazing feature exclusive to Amazon’s ecosystem that makes it incredibly easy for those not so tech savvy to easily learn to navigate or troubleshoot their device. 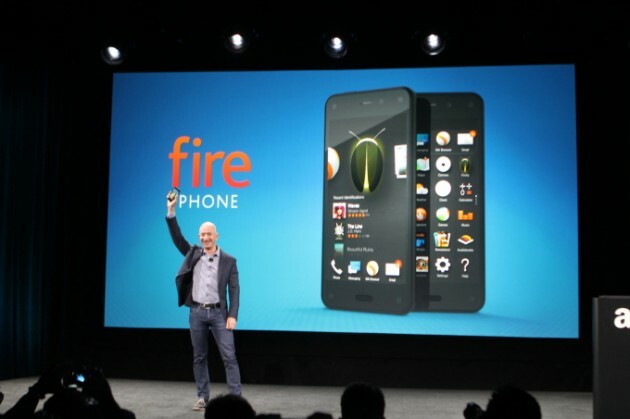 The Amazon fire Phone is exclusive to AT&T in the US with no word yet of an international release. The 32GB model will cost $199.99 on a new two-year contract or $299.99 for the 64GB model on a new two-year contract. The device also come with a free year of Amazon Prime service. Pre-orders for the device have already begun and the device will launch on the 25th of July.